Little Rock Zoo first came to it’s hometown in 1926 with only two animals to share: an abandoned timber wolf and a circus-trained bear. Now, 90 years later, they proudly house almost 700 animals with over 200 species being represented. 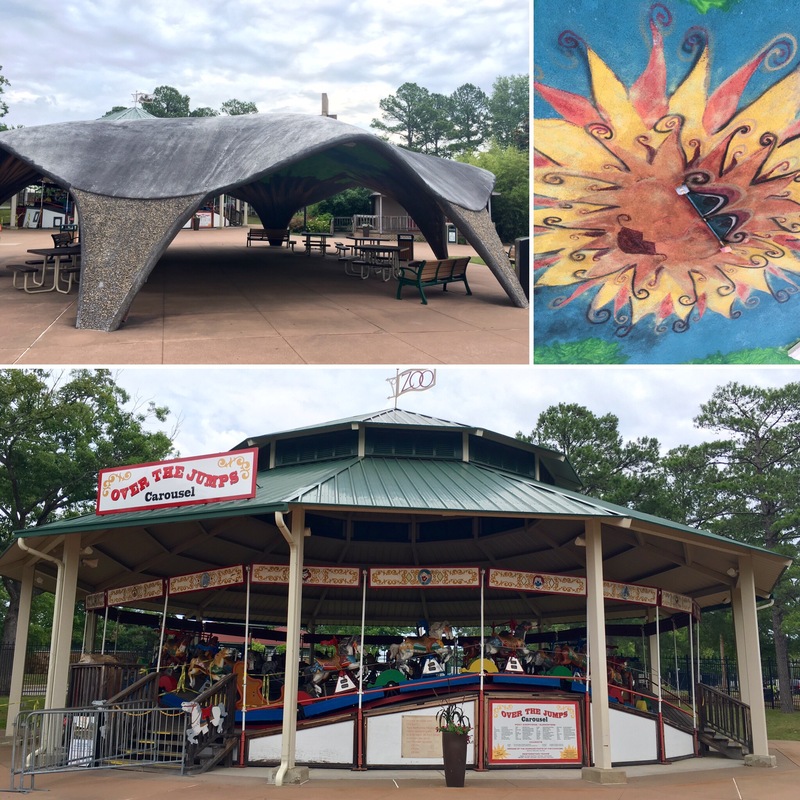 Little Rock Zoo is known for their children’s programs and community outreach while some of their special events are truly magical. Our family was invited to spend a day at the zoo as their guests and the trip was well worth it! When we first arrived, the front gate assistants were very quick to aide in getting us in while providing a map and making sure we were headed in the right direction. Just inside the gates, we noticed the amphitheater, picnic area, and their gorgeous “Over-the-Jumps” carousel. We ended up not attending any live animal shows and were disappointed to discover both the lorikeet feeding and the carousel closed for the day but we did take a peek at the covered picnic area. The girls loved the echo and the beautiful sun painting on the inside. 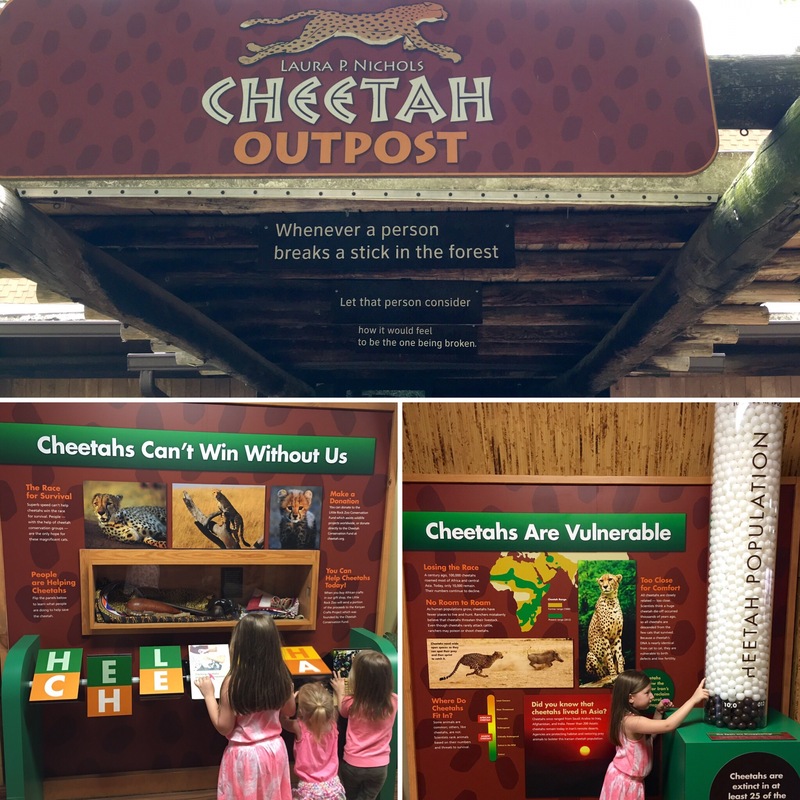 From there, we made our way through the giant park exploring all of the animal exhibits Little Rock Zoo has to offer. The enclosures for many were quit impressive compared to some other zoos we have been to and this was especially true in the great apes section. The barriers to keep guests safe were extensive including a combination of short walls, glass viewing areas, and netted openings. Inside the exhibit was just as well-thought with playing areas, toys, and climbing/resting platforms. 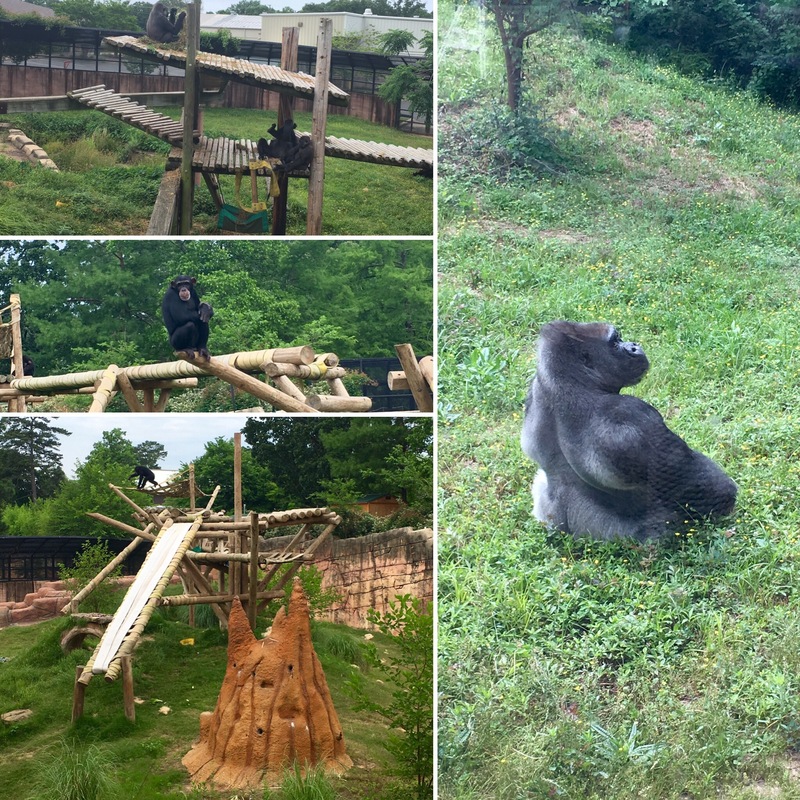 Several of the great apes were seen running back and forth playing while the littles were simply delighted! After visiting the primates, reptiles, birds, and big cats, we stopped into the onsite restaurant, Café Africa, for some lunch. While the building itself was very well designed and decorated, especially considering it is one of the originals formerly used for exhibits, we felt the pricing in the café to be a tad extreme. In the future, we would definitely pack a lunch and any snacks. If you do decide to order from the café, the offering was reasonable and the flavors were top notch. A note on this though would to be to skip the kids’ meals as the jungle juice barely fills a child’s cup halfway and the child food was not up to par. The kids much preferred what was on The Mister’s plate as well as my own. He had the classic double cheeseburger while I got adventurous with their vegetarian burger and sweet potato fries, which were superb. Even my carnivorous husband enjoyed the veggie burger. It is a must try if you dine at Café Africa! 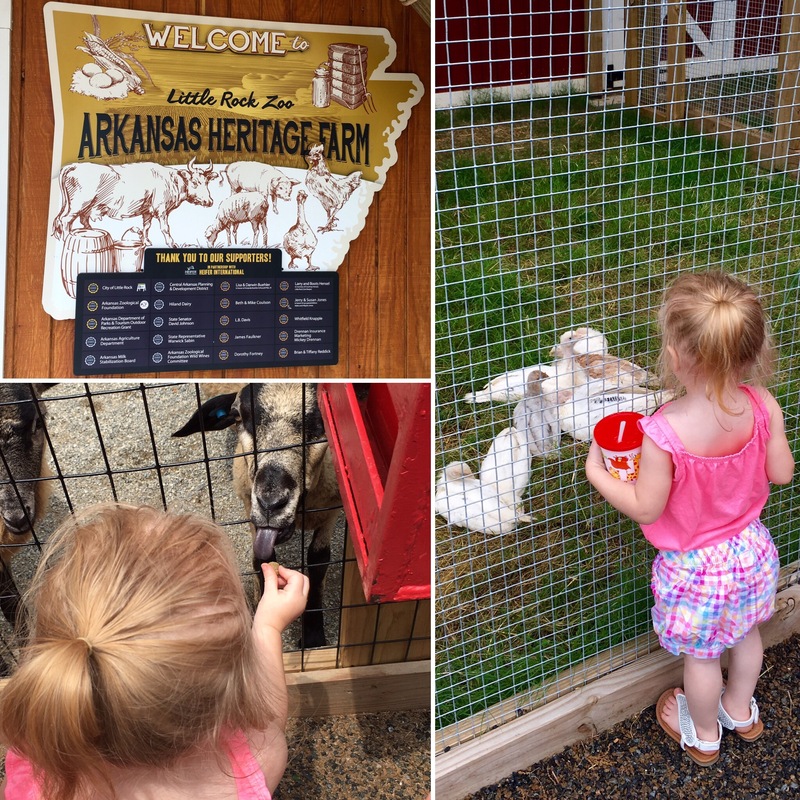 The afternoon brought us around to the last leg of our Little Rock Zoo adventures: Arkansas Heritage Farm. 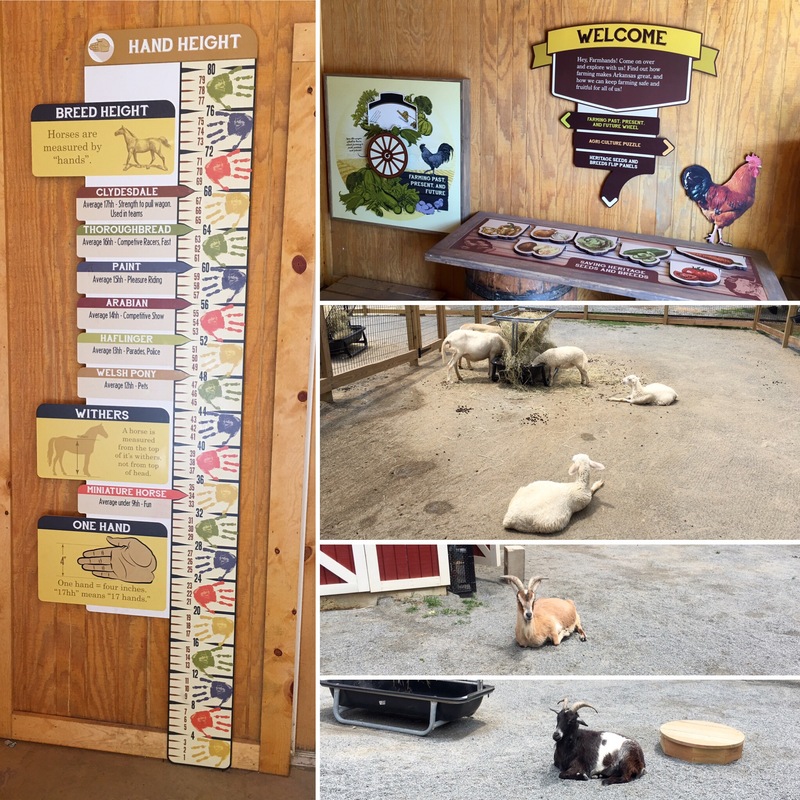 Here they offer a wide range of petting zoo animals including but not limited to goats, sheep, donkeys, and ponies while also displaying various farm animals such as ducks and chickens. 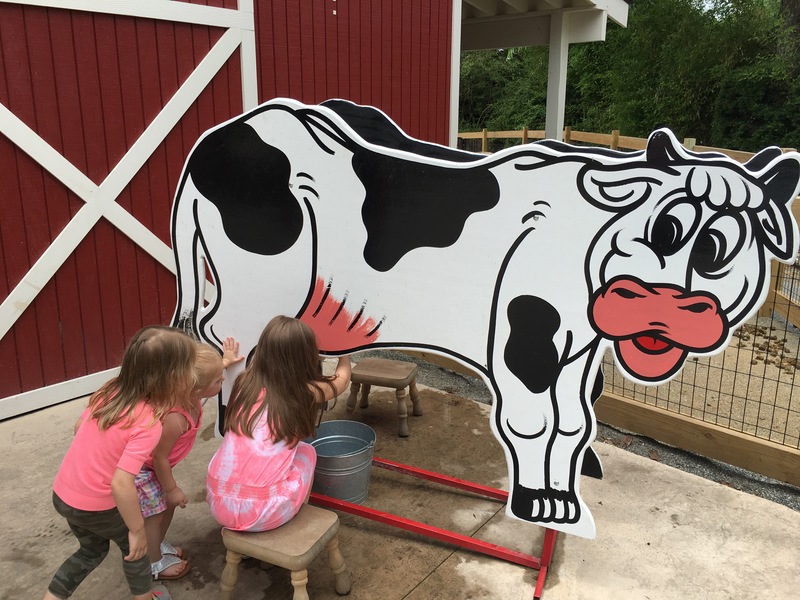 There is an adorable wooden cow, free for the “milking”, and an educational section displaying information about farming in Arkansas. 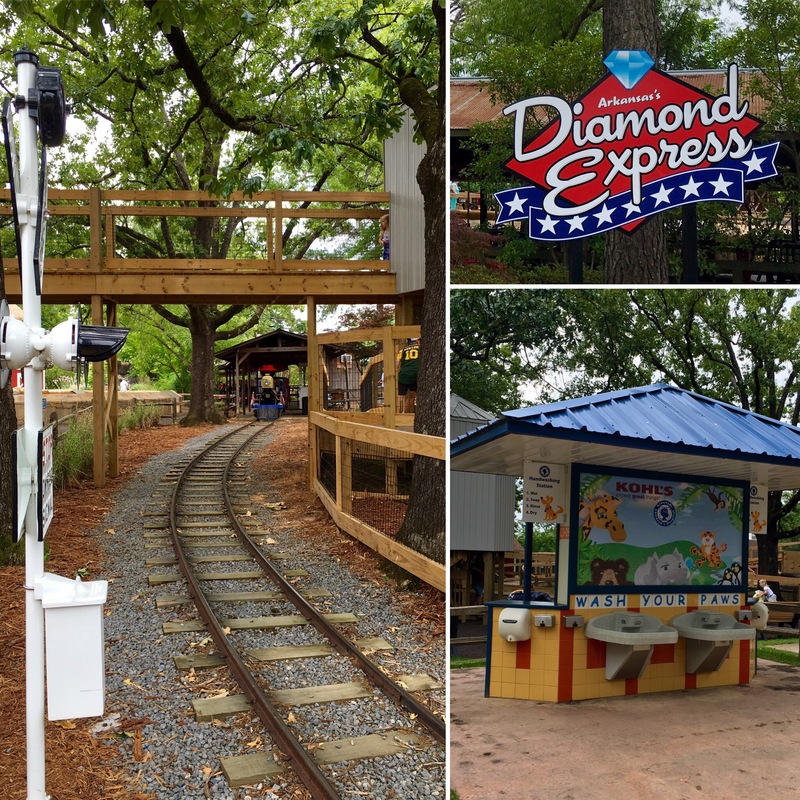 Surrounding Arkansas Heritage Farm is Arkansas’s Diamond Express, Little Rock Zoo’s very own train system. The train loops around the farm, the water fowl area, and the Zooventure Education Center. We chose not to ride the train as our littles were quickly becoming exhausted but the families who passed us while aboard truly seemed to embrace the experience. We definitely enjoyed ourselves and had a pleasant time overall. The littles are looking forward to making a trip back for the carousel, train, and lorikeet feedings! It could be expensive for a short trip but I would highly recommend stopping in if you have an entire day to spend, or if you are looking to join in for one of their many events. Coming up soon is Zoofari 2016, Little Rock Zoo’s 3-Day Educational Camp designed for kids 5-7 or 8-10! 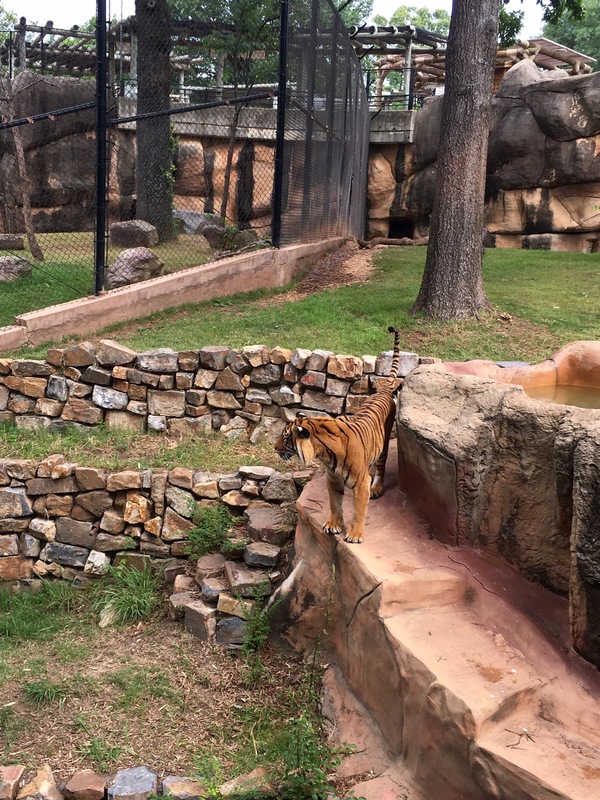 The Little Rock Zoo is open from 9am to 5pm 7 days a week except for Thanksgiving, Christmas Day, and New Year’s Day. The last daily admission is at 4pm. Private parking lot with $3 fee per vehicle. Zoo members park for free! 9:00am – 3:30pm, return by 4:30pm to the gift shop. Wheelchairs are $12 for all day rental, no deposit. “Scooter Bug” Electric Scooters are $25 for all day rental, no deposit. Previous articleTop 5 Deals for Dad’s Day!